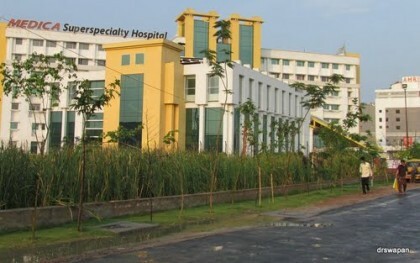 Kolkata: Medica hospital in Kolkata has marked the Doctors Day with a technology pride. Making its medical services more accessible, and saving a lot of time to attend to critical cases, the hospital has connected its ICU in Kolkata to other branches. Thus, an established network of technology enabled ICU guidance from doctors can now be availed. This step will result in significant savings of time and energy required by the doctors, with clear monitoring of the case online. The time is just right with industry bodies such as ASSOCHAM coming forward in support of digital initiatives for the healthcare sector. All in lieu of the PM’s digital initiative programmed gathering attention in the media. The first service, just launched by the Medica Hospital, will begin its milestone journey from Kolkata under the leadership of Dr. Arindam Kar. The Tele ICU equipment and connection has been enabled by Philips India LTD.
Medica Hospital is a 500 bedded multi-speciality hospital in Kolkata and is NABH accredited.